For the past couple of years, I have been buying stock only when I think share prices are undervalued. The concept of buying at a bargain is pretty simple. But determining stock values can be more complicated. Still, I have started on this path and have begun to deepen my understanding and skills in this area. To estimate value of a company and its per-share stock price, I created a basic framework for stock analysis based on my readings and business background. I plan to develop more sophisticated and thorough processes of evaluating a company's financials and its stock price. For now, though, this technique helps me to evaluate stock recommendations from a subscription newsletter, enabling me to confirm (or question) these recommendations and establish a reasonable price. I may buy immediately if the price is right. I have also learned to add a margin of safety, generally by establishing a buy price that is lower than the company's estimated value per share. For ideas on evaluationg a company and its stock from the lens of its financial statements, I'll share my thought processes and techniques. Enter a company name or ticker symbol to get a profile and links to detailed information. Drill down to the section labeled Financials; within the Financials section, locate income statements, balance sheets, and cash flow statements. Additional data, such as the number of shares, should also be available under a heading such as key statistics. My preference for quickly gathering information is my brokerage account's interface and I particularly enjoy working within the logon side of Fidelity's website. Financial information is easily accessible and presented in a format that invites financial analysis. Generally, I look at the past five years (though many professional investors urge you to consider more extensive history, reviewing ten years of performance). In many cases, I simply cut and paste data from the brokerage site to my spreadsheet. I like to see growth in all areas (note that my inclination is to buy growing companies at value prices). But I realize that some companies may seek growth in revenue by lowering prices and/or spending a lot of money to generate sales and sales growth. While I can accept some trimming of profitability over time, I don't want to see major shifts. Further, income growth is more important than sales growth to me. The gross margin indicates profitability as a percentage of revenue. For example, a gross margin of 40% means that 40 cents is made for every dollar in sales. I like to see a healthy gross margin; to me, a nice margin of say 35% or more means that the company commands premium prices for its goods and services. And if this gross margin has persisted over time, then it may have a wide economic moat. The operating margin should be healthy also. This number takes into account costs associated with running the business in addition to costs associated with producing and delivering goods and services. Both margins (gross and operating) should be consistent over time. Consistency means that the company has a handle on its pricing and expenses, which points to the possibility that past performance could be replicated in the future. Again, I am evaluating recommended stocks so I am generally more optimistic than I might be if I was simply vetting random selections. And my goal going forward is to apply even greater scrutiny to investment possibilities. My main goal in looking at balance sheet items is to identify unusual movement. Typically, I like to see consistency or change that makes sense for a growing company. For example, inventory may increase to support sales growth; but too much inventory may mean that there's a slowdown in sales or a problem in predicting and servicing demand. An increase in receivables (what customers owe the business) may make sense when there's a corresponding increase in current liabilities (outstanding bills). But long delays in collecting payments from customers that result in unusually high receivables, or similar delays that prevent the company from making timely payments to vendors could mean trouble. Cash flow represents the lifeblood of a business. Unlike other types of financial statements, cash flow tells the truth about the health of the business and indicates its long term prospects. No matter what story a company tells its shareholders, cash flow typically reveals how good (or bad) the business is being managed. If cash flow is steady and positive, then the company is operating smoothly. But if cash isn't flowing, then something is wrong. There are two ways to think about capital expenditures. One is that capital projects are investments in the company's future, which should enable the firm to generate greater income. On the other hand, capital projects can be a perpetual drain on the company's cash. The value of a company (and its stock price per share) can be calculated using the present value of expected streams of cash flow, which can be determined by applying growth projections to current cash flow. This method of valuation is called the discounted cash flow (DCF) method. I use the information I've gathered and reviewed to assess the current condition of a company. This financial data can also be useful to determine a company's value and calculate the price that the stock may be worth. review the balance sheet to see how the company is managing its cash, controlling its inventory, borrowing money, etc. I can (and most likely should) add more to my evaluation. But this process can be a good starting point to consider the financial fundamentals of a business and establish its value. 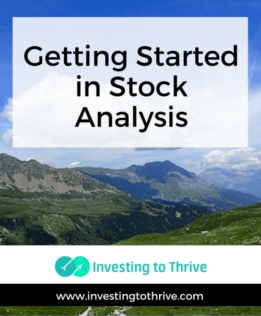 How do you evaluate stocks? Do you look at financial statements or other statistics?